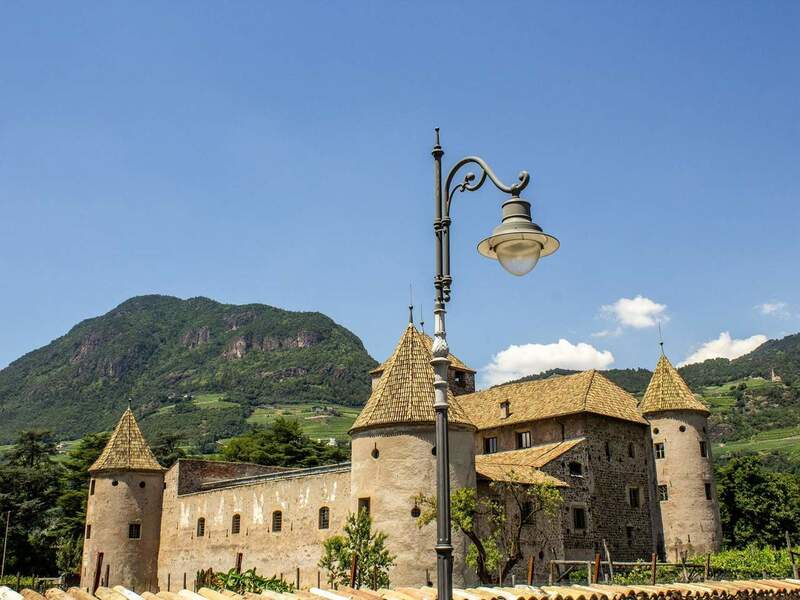 The impressive Maretsch Castle is located close to the city centre of Bozen. It is an event location for weddings and conferences and displays exhibitions from time to time too. 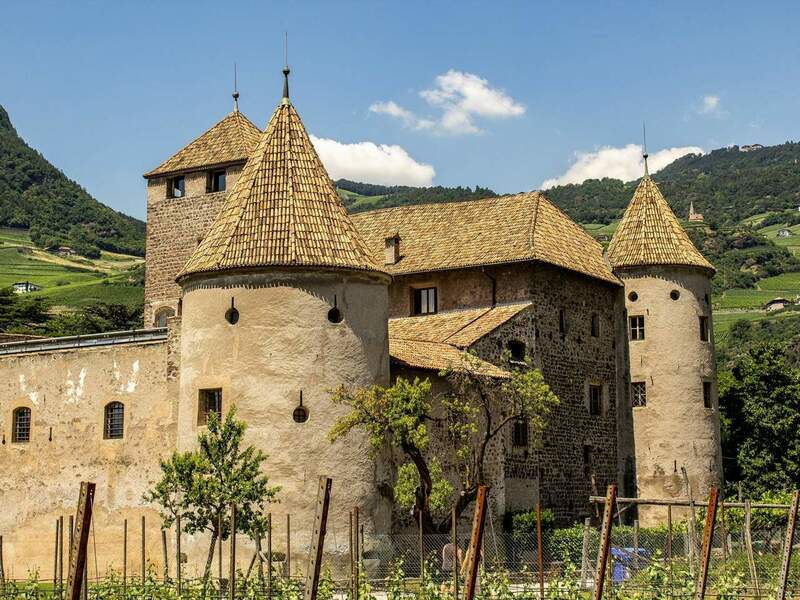 The oldest part of Maretsch Castle was built in the 13th century. In the 14th century, the castle was extended. 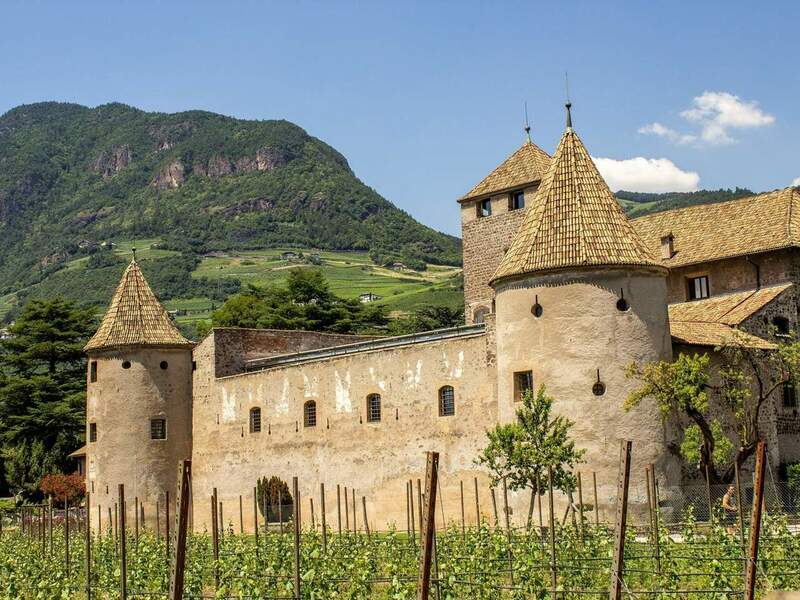 Today’s look of Maretsch Castle dates back to the 16th century, when the Römer family transformed the fortress into a Renaissance castle, decorating the splendid halls with considerable frescoes. 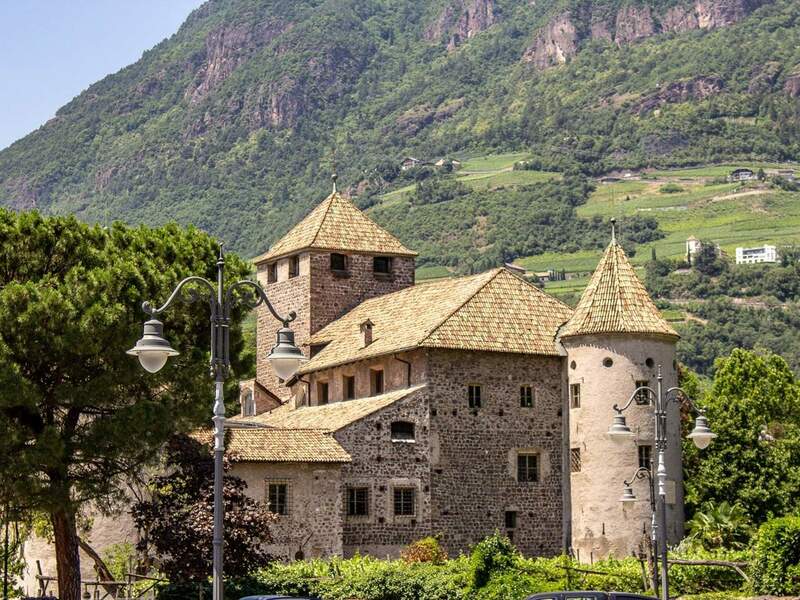 As well, the characteristic exterior towers originate from this era. Maretsch Castle also has a very special position. 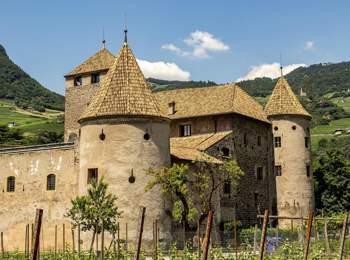 Whereas most of the castles in South Tyrol are located on a rocky, difficultly accessible hill, this castle was built as a so-called lowland castle. Until about 1650, Maretsch Castle was protected by a moat, which was closed later. 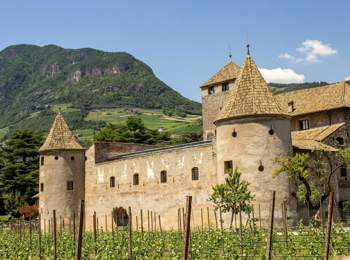 You can have a wonderful view of Maretsch Castle with the legendary Mt. Rosengarten in the background from the Wassermauer promenade in Bozen. Several rooms of Maretsch Castle in Bozen are decorated with worth-seeing frescoes and original ceilings dating back to the 16th century. Indeed, you can see many curious details. In the Römer hall, Moses is for instance depicted with horns and the allegorical representation of the virtues also includes patience. This virtue is not depicted very often, but the principal of theses painting, Lukas Römer, needed to be patient: Due to his sympathy for Protestantism, he was often exposed to great hostilities. Visitors can see the exhibitions at Maretsch Castle during the respectively indicated opening times. 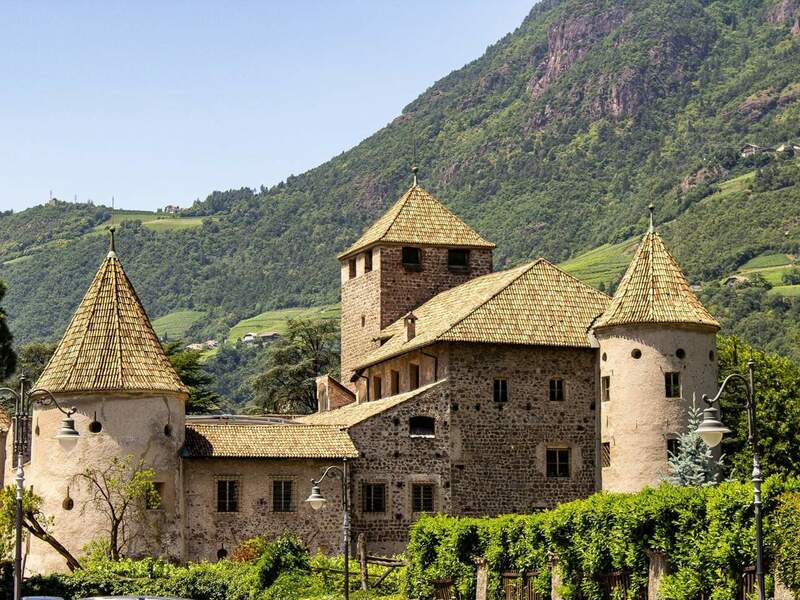 The castle itself is open for visitors only upon request during a guided tour.